Making plans for the Fourth of July? There are plenty of events and venues in Baton Rouge celebrating America's Independence. Most patriotic of all is the annual fireworks show in Downtown Baton Rouge over the Mississippi River! 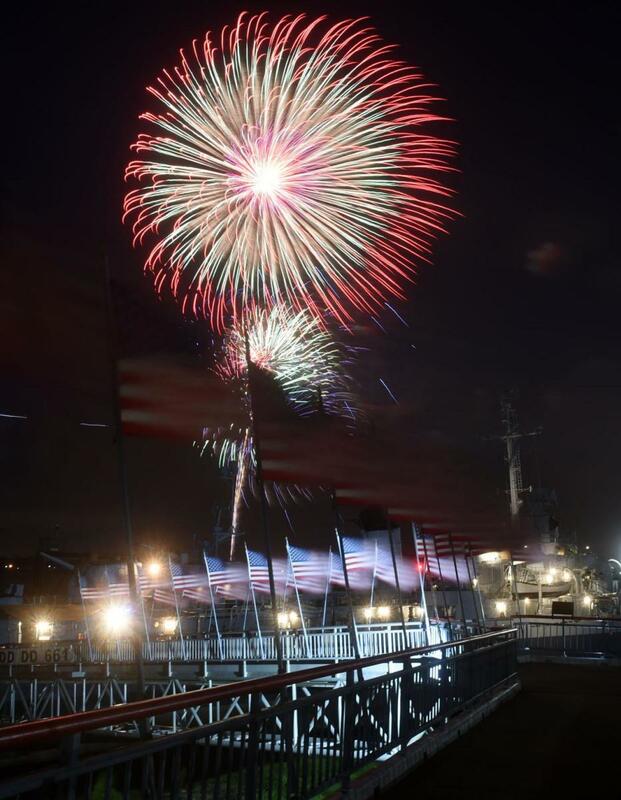 Baton Rouge&apos;s Fourth of July Spectacular welcomes thousands of guests from around the country dressed in their best red, white and blue for an evening-long event of fun, ending with a breathtaking fireworks display overlooking the mighty Mississippi. Bring a blanket or chair and set up along the riverfront, or watch from one of the many attractions and restaurants nearby hosting viewing parties like the USS Kidd, Shaw Center for the Arts&apos; rooftop terrace and more. There are also Baton Rouge parades and concerts to celebrate the 4th of July! If plans are keeping you in or around Baton Rouge there are plenty of events taking place during the holiday weekend. Make plans to dine with the locals at area restaurants, relax at one of our hotels, and find unique items at area shops.